﻿Does Santa Claus Prefer A Chimney cleaned by a Chimney Sweep? that is cleaned by Ash Away Chimney Sweeps we report to the Elves at the North Pole. The elves tell us statistically in the chimneys of Jacksonville, FL, NE Florida and SE Georgia they are able to fit 11.473% more presents in a clean chimney than a sooty chimney. And can you blame him? If you had to slide down a few million chimneys in one night, wouldn't you look forward to the chimney that had been cleaned by a chimney sweep? Mrs. Claus also tells us that every time she has to clean soot stains off Santa's red suit she has to check off the naughty column on Santa's list, and you know he'll check that twice! No matter what time of year it is, it's a good idea to have a chimney sweep clean your chimney, so you know when Christmas comes you can hang your stockings by the chimney with care. Santa Claus himself has seven chimneys in his North Pole home that he has a chimney sweep clean three times a year. He also has eight chimneys in the toy work shop that are cared for by a chimney sweep four times a year. Even the reindeer barn has two fireplaces cared for by a chimney sweep. Santa Claus knows how important it is to have a chimney sweep clean and inspect your chimneys often and he takes it seriously. Santa Claus would never risk slowing down production with a chimney fire because he forgot to have a chimney sweep take care of his fireplaces and chimneys. Santa considers home safety and having a chimney sweep take care of your chimney a good thing to do and he marks his list accordingly. So you can have a chimney sweep clean your Jacksonville, FL, NE Florida or SE Georgia chimney just for safety, or you can have the chimney sweep clean your chimney to get on Santa's good side. 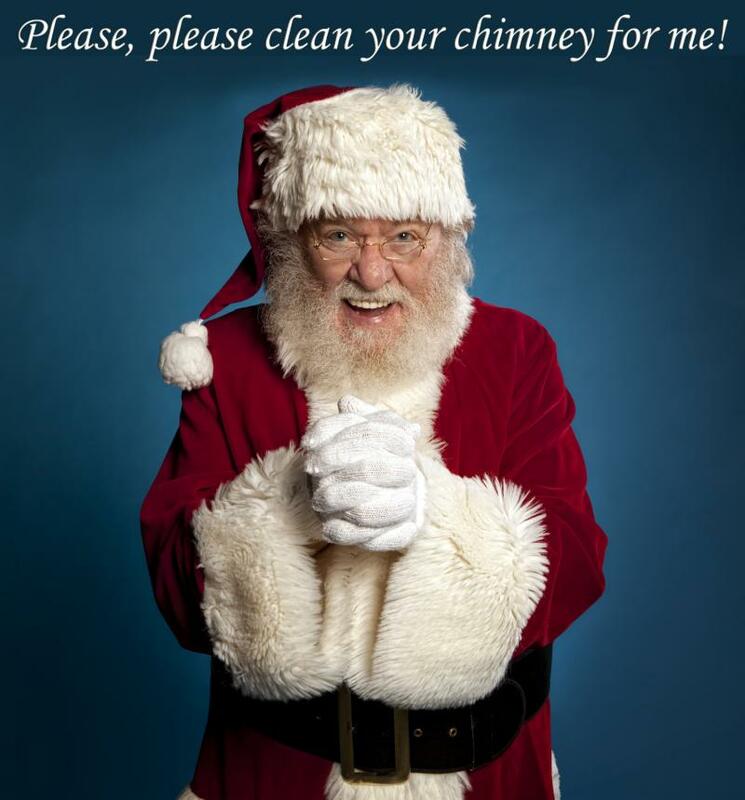 Ash Away Chimney Sweeps will be happy to sweep your chimney and report back to Santa that the job is done!